By now you all know my love affair with cemeteries. 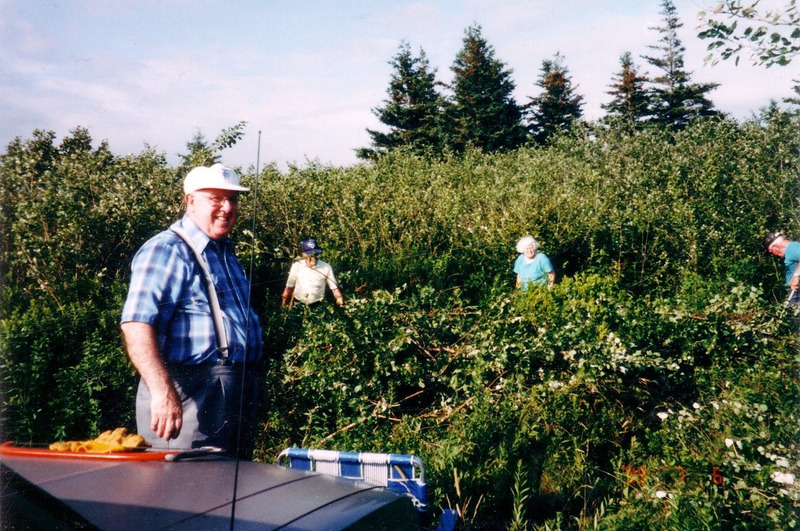 Just when I thought cemeteries couldn’t get any better, I met up with Bill Curry, one of the many volunteers who are part of The Old Beaver River and Port Maitland Cemeteries Preservation Society. 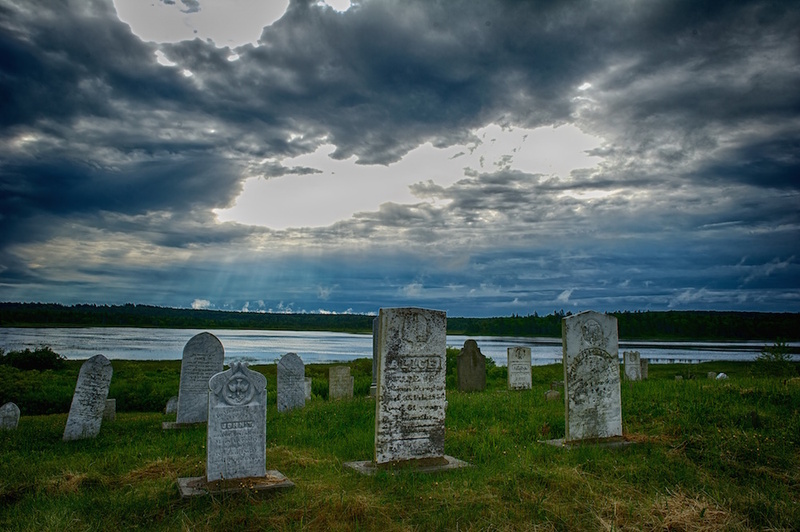 Thanks to this group, not only have these cemeteries been cleared and the gravestones identified, they’ve been designated as Registered Heritage Properties and are part of the Nova Scotia Historic Places Initiative. But that’s not all. Each headstone has a brick with a QR code. 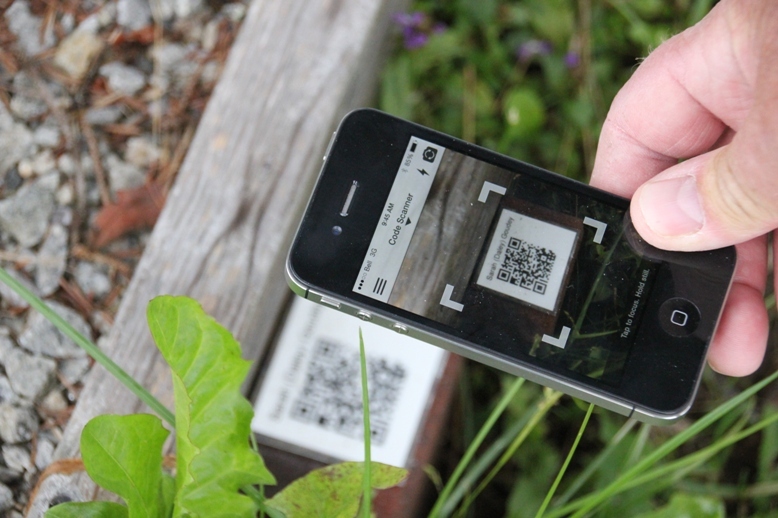 If you have a smarthphone, all you have to do is put your phone over the QR code and voila! Up pops scads of information about the “resident” of the cemetery. These may be the only cemeteries in North America where each and every resident is identified in this way. Quite extraordinary when you think about it. As a point of interest, QR codes started (in part) with the invention of bar codes with which we’ve all become familiar. Although first invented in 1952, they didn’t gain popularity until the birth of UPCs in the 1970s. However, because the information contained in UPCs was so limited, in 1994, the Quick Response or QR code came along, allowing for more information to be stored and they can be read by smartphones. Bill went on to explain that Theophilus Crosby, the father of those in this row, married Margaret Goodwin. He died in July of 1847. Theophilus had been pre-deceased by his son Ansel, (who died in Janauary of 1847), his son John W. who was a son by Theophilus’ first marriage to Catherine Welch (and who died in April of 1847) and his daughter Elizabeth Ann, (who died in May of 1847.) Margaret was pregnant with the couple’s fourth child who was born about the same time as Theophilus’ death in July of 1847. Margaret named the boy Ansel, in honour of the other son who had passed away earlier that year. For more information about this project, visit www.oldstones.ca. Better yet, if you live in the region, go visit these cemeteries. There’s a charming short walk over a wee wooden bridge connects the Free Will Baptist Cemetery and the Calvinist Baptist Cemetery. And to think that many of the headstones in these three cemeteries were buried deep in brush and alders. The photo here is Bill Curry’s. 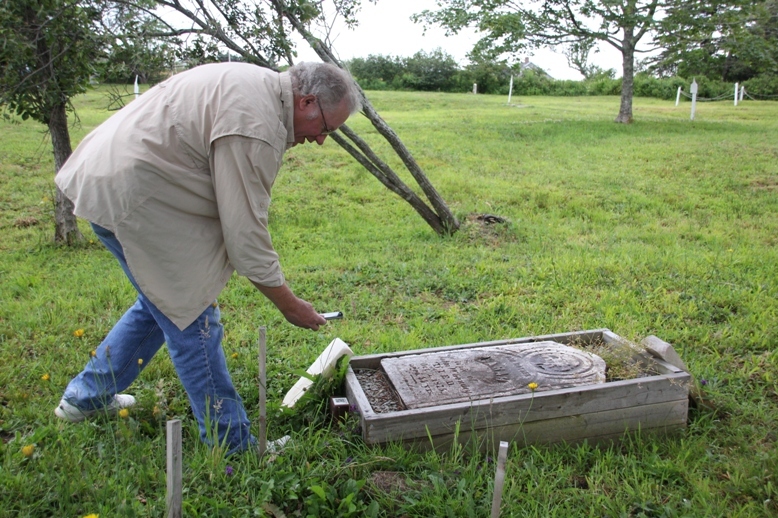 All three cemeteries mentioned here are on Highway 1 in Beaver River and Port Maitland. PS If you are in the region, be sure to drop into visit Bill in Port Maitland. 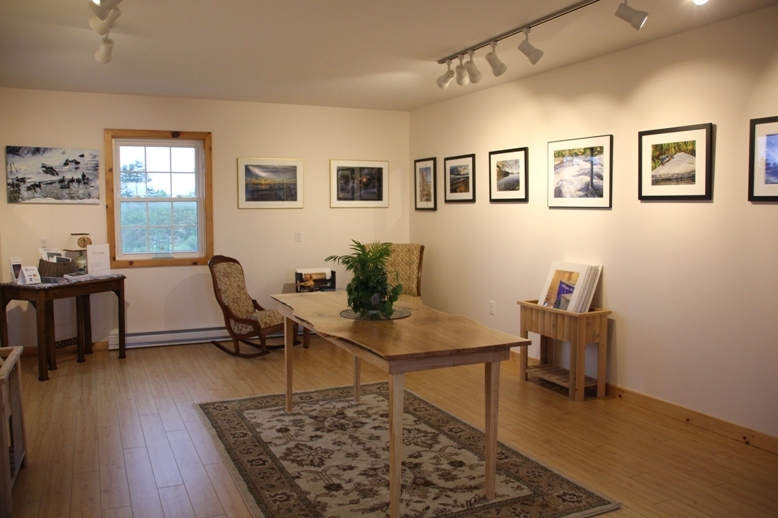 He’s a professional photographer and his gallery & studio is loaded with a photos from his fine collection. He’d be happy to chat about his photography and the Old Stones project any time! Very interesting article and great pictures. Glad to seem the care and commitment shown. Thanks for commenting Cynthia. It’s really quite amazing what volunteers can do! Amazing! What will they think of next?? Yes, this is quite unique for sure. Thanks for visiting and commenting!